Season's Greetings to you all ! Happy days are here again, festive seasons are round the corner and you all are ready to celebrate it with great joy and happiness. While we celebrate the festive season, let's remember the poor and the deprived sections of our society who do not have adequate access for enjoying the festivities. There are several children under IDF care who need your love and attention for their health and education. It is our tr adition to share what we have with the underprivileged in the society, isn't it ? 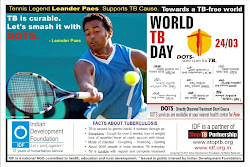 Why not share your mite for some noble cause now. Here is a way to participate and share the joy of happiness. 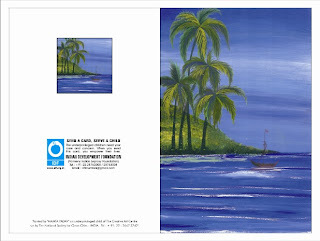 In this e-world, Greeting people through sms, emails etc. have become a fashion. BE DIFFERENT, MAKE AN IMPACT. Greet your near and dear ones with an IDF Greeting Card. Send an IDF Card today and feel the difference. We have made it easier for the friends to buy cards - since the cards are in a packet. 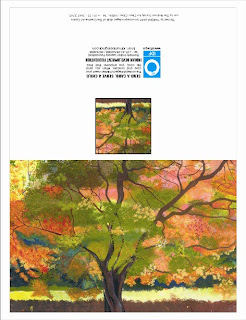 A single pack contains 12 Cards - 3 cards each of 4 designs and 12 envelopes too. Each card costs Rs.10/=, thus the packet price comes to Rs.120/=. IDF gives a special offer during this festive season by making it available for JUST Rs.100/=. Grab this offer and help the poor and the needy. This is the golden opportunity to serve people at large. Courier charges as per actuals will be charged extra. 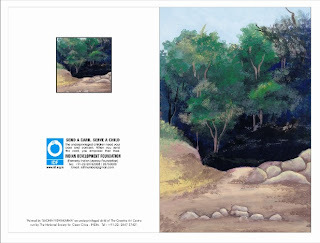 By buying IDF Cards you will help in making the future of India. 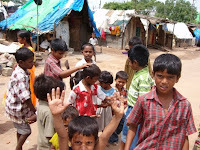 The underprivileged children need your care and concern. S end IDF cards and empower their lives. India's progress in leprosy eradication efforts has been spectacular and the participatory work by governmental and voluntary agencies is laudable, observed Mrs. Priya Dutt in Mumbai on Wednesday. 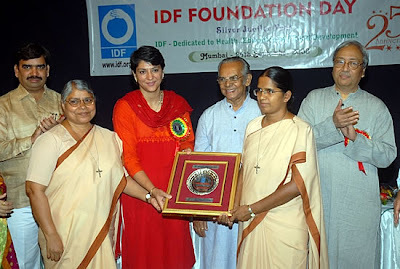 “We are happy that the cherished dream of the Father of our nation for leprosy elimination has come true,” she said adding that "it is heartening that IDF rededicates its service for the development of nation as it celebrates silver jubilee." 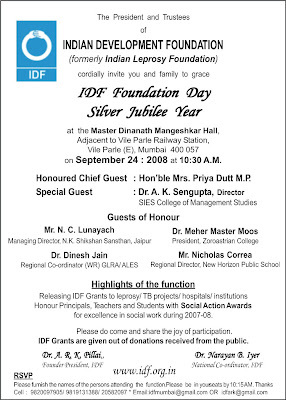 Hon'ble Mrs. Priya Dutt MP was speaking as the Chief Guest of Indian Development Foundation's (IDF) Silver Jubilee Year Foundation Day Function at Master Dinanath Mangeshkar Hall on 24th September 2008. This report appeared in Mangalorean.com, a news portal from Chicago, USA. Click the link for complete report and photos. Young people may not value money as grown ups do, but they definitely know the value of a cause. The students of St. Antony’s Primary School located in Rammurthy Nagar here have proved this through their exemplary work. 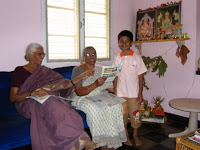 The children have collected donations to the tune of Rs.1.10 lakh for of leprosy and tuberculosis patients. Of course, they sought help from their parents and relatives to collect donations , but all the focused hard work was their own. They donated the money to Indian Development Foundation, an NGO working for the cause for 25 years. Over 1,000 students of the school from standards I to V approached their parents and relatives, explained the cause and sought donation from them. 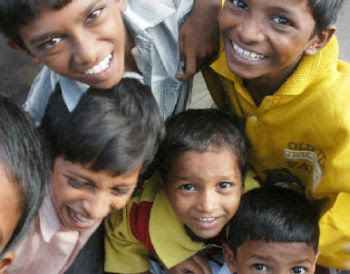 The Indian Development Foundation (IDF) is associated with over 120 hospitals and projects in India. 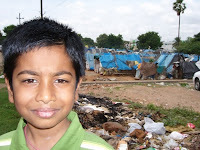 Young at 9, Shanker Sai the IDF Ambassador at Hyderabad and student of Kendriya Vidyalaya AFS studying in standard 4, has done excellent social service during the past couple of months. organising - friendship day, teachers' day, independence day. It's mindblowing Shanker Sai to see all your activities. Our Salutations to you. We feel proud about your work. 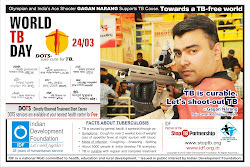 We thank Master Karan Dravid our first youngest ambassador for introducing Shanker Sai to IDF. 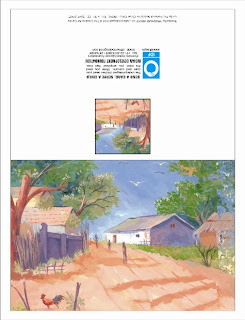 Indian Development Foundation feel strengthened by Shanker Sai's association. Good luck to you Shanker Sai. 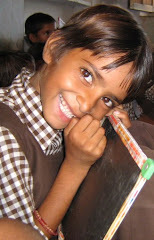 Bharatiya Vidya Bhavan's Vidyashram, Jaipur bagged the most prestigious Mother Teresa Memorial Award 2007-08 for outstanding performance in social responsibility work in the entire northern region during 2007-08. 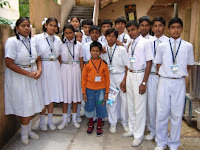 Vidyashram Schoolteam under the able leadership of Principal Shri Upendra Kaushik has excelled in resource mobilisation, health awareness and social participation programme carried out by Indian Development Foundation (formerly Indian Leprosy Foundation). This is the 3rd time that the School get's this prestigious Award. 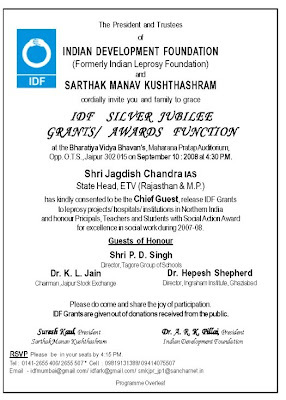 On 10th September 2008, Shri Jagdish Chandra IAS (Retd), State Head, ETV (Rajasthan & M.P.) presented the Award at the IDF Silver Jubilee Grants/ Awards Function held Bhavan's Maharana Pratap Auditorium at Jaipur. Shri Upendra Kaushik, Principal - Mrs. Priyadarshini Kachhawaha, Vice-Principal - Mrs. Lalitha Vora, Headmistress and Ms. Valentina, Co-ordinator (Balwadi) received the Award on behalf of the School. The Guests of honour present at the function were - Shri P. D. Singh, Chairman, Tagore Group of Schools - Dr. K. L. Jain, Chairman, Jaipur Stock Exchange - Dr. Hepesh Shepherd, Director, Ingraham Institute, Ghaziabad - Mrs. Bharti Swami, Principal, Vidhyashram International School, Jodhpur - Shri Suresh Kaul, President, Sarthak Manav Kushthashram and Shri Kuldeep Singh, Director, N.K. Shikshan Sansthan. IDF News `After the festivities it is clean up time' found a place in Mangalorean.com, a news portal from Chicago, USA. Click the link given below to see the report. 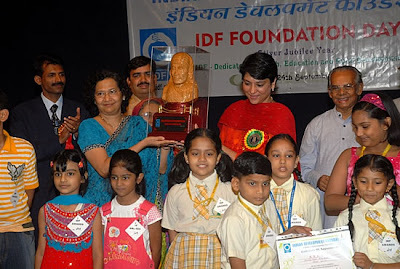 IDF thank Mrs. Queenie and Mr. Roshan from Mangalorean.com for their kind and continued support. click on the invitation card to maximize. Mumbai's most popular festival, Ganesh Chathurthi came to an end on Sunday. Several thousands of Ganesh idols were immersed in various beaches in Mumbai. The after effect of this festival could be seen in various beaches with piled up flowers, coconuts, plastic bags, food packets and litters left behind by the festival revellers. Indian Development Foundation in collaboration with the students of Podar International School, Santacruz (W) and NSS volunteers from Vivek College of Commerce, Goregaon (W) joined hands with BMC and various agencies and school students in cleaning Juhu Beach during the morning hours of 15th Sept. 08. Juhu Beach Cleanliness drive received immense support from school and college student groups, NCC and NSS volu nteers in Mumbai along with several NGOs and corporates lending hand to BMC in clearing the after-effects of idol immersion. The students actively participated in the cleanliness drive and felt happy in doing their social responsibility, expressed Mrs. Priya Dutt MP. I am happy to see young students shouldering the responsibility of keeping our Juhu Beach clean, she said. Lord Ganesha, the harbinger of love and remover of obstacles blessed Mumbaikars and it is the responsibility of every citizen to clear up the left-over of the festival revellers, said Dr. Narayan Iyer, national co-ordinator, Indian Development Foundation. The total effort by the students and volunteers is appreciative and we could see juhu beach with sparkling yellow sand once the debris strewn is removed, Dr. Narayan Iyer added. It's an excellent job done by our students participating in the post Ganpati visarjan cleanliness drive, said Mrs. Sarala Gavane, C AS Co-ordinator of Podar International School. We need to protect our beach and keep it clean and my friends and I feel happy to do this social service, said Isha, a student of Podar School. It is our duty to keep our beaches clean and ban usage of plastic items, sai d Vidya Padmanabhan, PRO of Vivek College NSS Unit. We greet our teachers on the occasion of the Teachers' Day on September 5. Teachers' contribution to the society has no parallel. They strain every nerve to teach, mould, counsel, upgrade and enthuse children of all age groups over long years with remarkable dedication. The present day modernisation would have been impossible but for their years of sweat and toil to transform the children into brilliant citizens. teachers adequately for their sterling sacrifices? Academics apart, they have encouraged the students to do social service and kindled in their hearts care and concern for humanitarian causes. 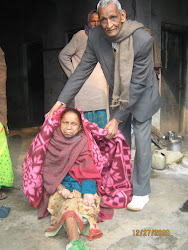 The students have excelled themselves in various social activities including help for poor leprosy patients. What can be nobler than this generous gesture ? There are several unseen blessings that blossom out of teacher-student interactions which lead to emotional strengths, confidence and progress. Teachers have been a tower of strength for the students. They have contributed a mighty share for remarkable progress of countless number of students. In the unseen recess of the hearts of thousands of students, they will be delighted to see a sacred place of worship for every teacher ! We thank the teachers for their generosity and wish them good luck. Th e students of Bal Vikas School at Talegaon Dabhade have taken active part in the social responsibility programme of IDF in creating awareness on leprosy and tuberculosis diseases. The students have also contributed their mite voluntarily for the cause of humanitarian programmes carried out by the Foundation. 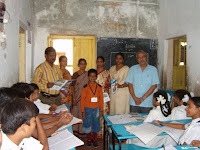 On 1st September 2008, the Schoolteam comprising Mrs. Helen Anthony, Principal - Mrs. Kiran Vaishnav, Headmistress (Primary) and Mrs. Dipali Deshpande, Headmistress (Preprimary) invited Dr.A.R.K. Pillai, President and Dr. Nar ayan B. Iyer, National Co-ordinator of Indian Development Foundation and handed over the funds voluntarily mobilised by the students for the health, education and development projects of the Foundation. Dr. Pillai and Dr. Iyer expressed their sincere thanks to the Bal Vikas Schoolteam for the marvellous effort and appreciated the shining example set by them in social responsibility programmes. Every student from our school responded to the social call given by IDF team. Our students are always in the forefront of supporting social causes and they derive enthusiasm in participating in Indian Development Foundation's social drive, said the Princpal of the School.